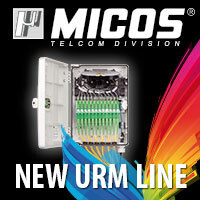 MICOS TELCOM oﬀers a convenient connection of integrated solutions with a wide range of compatible products for builders and operators of data and telecommunications networks. Above all MICOS TELCOM manufacture optical distribution boxes, street cabinets, ODF´s & ODB´s, optical closures, overground pillars, high density cabinets, racks and data cabinets, optical mini sockets & modules or optical accessories. 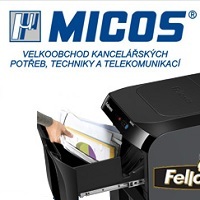 MICOS TELCOM product portfolio contains more than 800 items. All products are developed and produced in EU and are fully optimized for high standards or needs of global telecomunication operators, internet providers and power distributors. MICOS TELCOM exports its products to more than 35 countries. We are focused on quality for competitive price, flexibility, service and individual approach to costumer needs. An important beneﬁt for our customers is a concentration of research and development located together with our own production facility. We are able to oﬀer special and completely new technical solutions according to customer’s requirements, from product development and prototyping to testing and putting into operation.